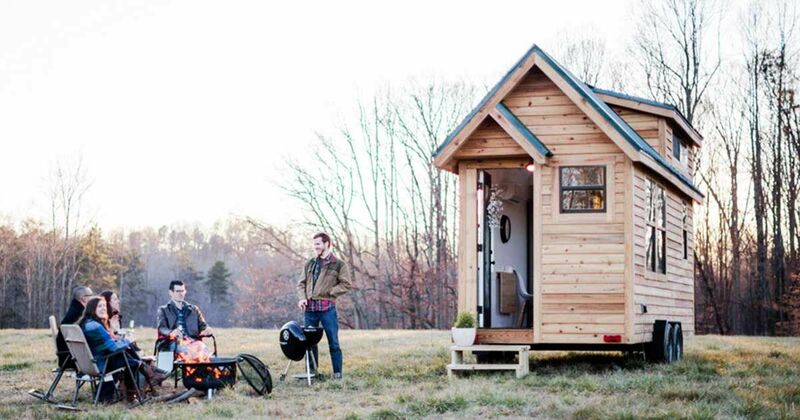 Thinking of joining the tiny home movement? It turns out that smart design, efficient multi-purposing and the distillation of one’s belongings down to mostly essentials allow for tiny home owners to live their best lives, free of the burden of a traditional mortgage. If you have toured our list of most impressive tiny homes or our list of most accessible tiny homes, you know not to be fooled by the small 1,000-square-feet footprint. From shabby chic tiny homes to rustic tiny homes, the interior options are endless. In the list below, we've compiled a list of tiny homes with the brightest interiors. In some of these homes, the home has a lot of windows and let in a lot of light. In other cases, the style and aesthetic of the home incorporate many whites and bright colors. Most of these homes have a contemporary slant. In all cases, visitors of these homes will enter and exist with a smile on their faces. 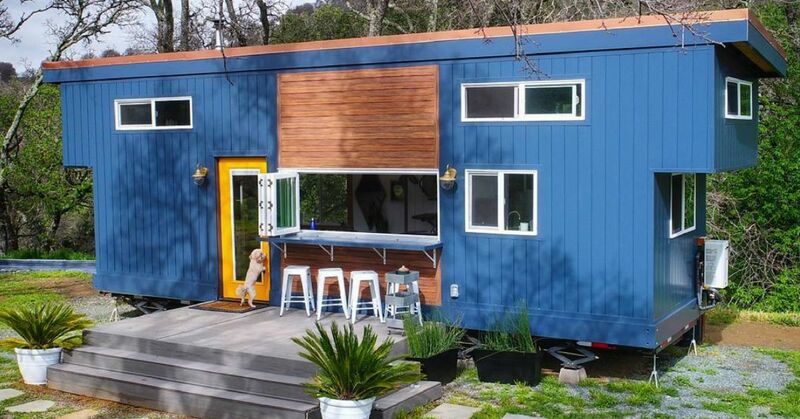 Take a tour of the homes below, and get ready to have these tiny homes brighten your day. Tiny homes are capable of doing monumental things despite their minute square footage, and the Vista from innovative tiny home and RV company ESCAPE Traveler is no exception. The Vista Fact Sheet describes this 160-square-foot sanctuary as a "private space that is both sheltering and directly connected to nature" because of its sturdy design accented by plenty of large windows for a panoramic view. 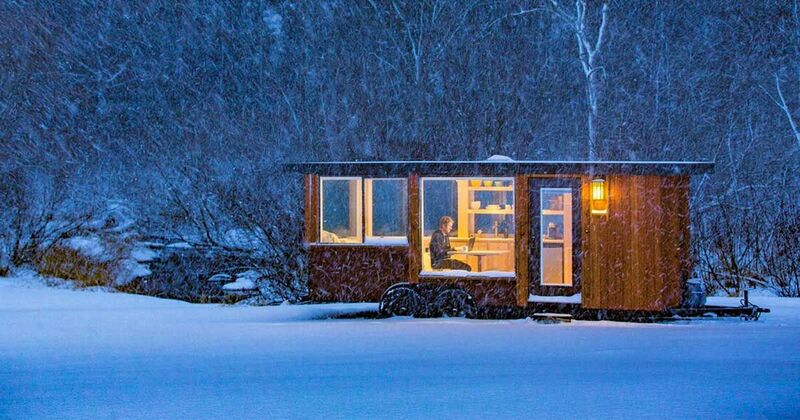 This tiny home is able to withstand both extreme heat and bitter cold, allowing to you achieve a state of repose no matter the weather. Get the full tour here. When deliberating how much space a person really needs, not only to live but also to thrive, the creators of Wohnwagon came to a startling conclusion: 25 square meters or roughly 269 square feet. Following that realization, the Austrian-based company crafted a unique living experience that enables residents to be truly off the grid. 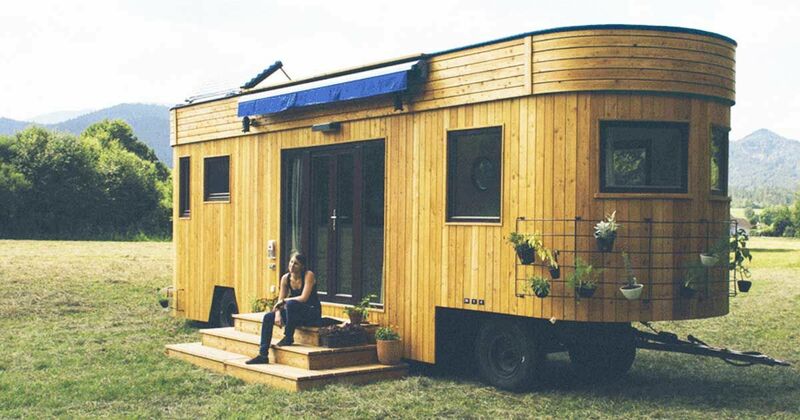 This is the Wohnwagon, a mobile home constructed completely from natural and recycled materials. According to a press release, the company is dedicated to creating the ideal living situation for each individual, down to how the Wohnwagon will be used, where it will be placed, and how self-sufficient the unit needs to be. Get the full tour here. 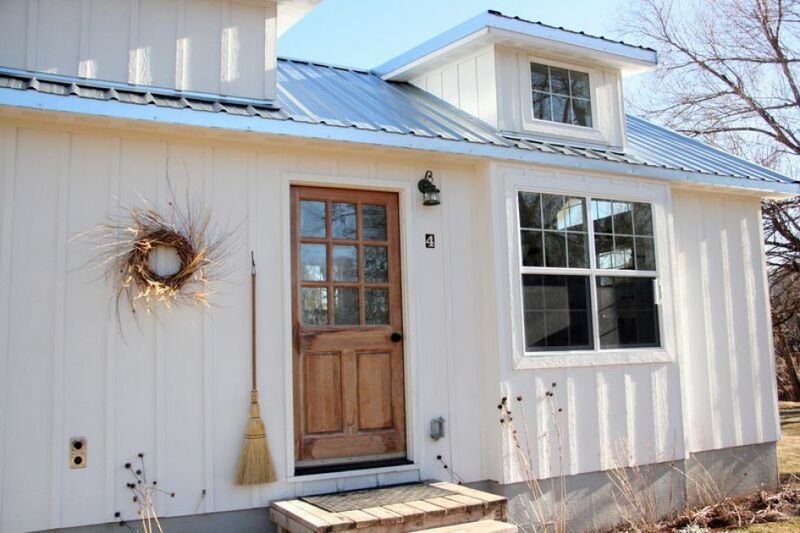 Meet the Oceanside Retreat, a tiny home from Creative Cottages, LLC that is full of delightful surprises. This take on a beachside bungalow is adorable enough to inspire wistful sighing and heart eyes emojis from anyone who views it, so prepare yourself for the joy you're about to experience. 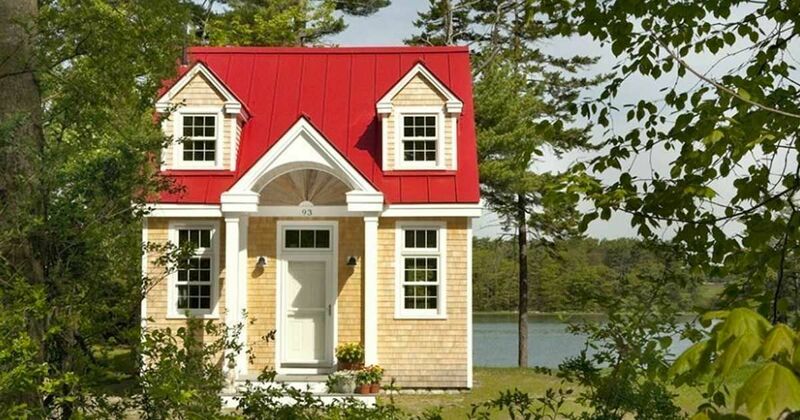 Right off the bat, the cottage's red roof gives it a cheery feeling that only grows as you step inside. We also love how the crisp white detailing stands out from the siding. The facade almost seems too precious to be real, but we can assure you that it is. Get the full tour here. The owner of the Wind River Bungalow set a goal of being debt free by the age of 30. Whatever money the husband and wife couple would have spent on rent or mortgage for a bigger home was instead put towards paying off school and car loans as well as credit card debt. They accomplished their goal of not owing a cent to anyone while at the same time having a 192-square-foot tiny home that they own 100 percent. The company can also make the bungalow longer if that's the customer's preference. One of the biggest benefits that tiny homeowners reap rewards from is the ability to spend more one on one time with nature. Ideally, the best tiny home designs are ones that easily mesh the forest and landscapes with the house itself which is exactly what the Wind River Bungalow accomplishes. Get the full tour here. Doug Schroeder, owner of Timbercraft Tiny Homes from Guntersville, Alabama, knows his tiny homes. In fact, his custom tiny homes are so popular that they are made-to-order. Why are tiny homes an increasingly popular trend? Schroeder tells AL, "A lot of people are tired of trying to live the American dream and being in debt." Get the full tour here. 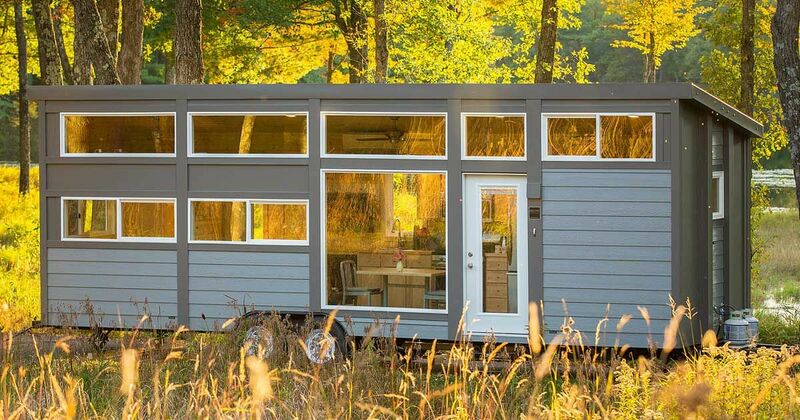 This tiny and bright cabin of only 665 square feet (62 sq. m), houses a family of five. After facing financial hardship, the family decided to get back to basics. They sold their home and with it went their big mortgage payment. They had a new goal to live with intention, live debt free and live small. The home is welcoming, bright and efficient. Budget design choices and DIY projects were used throughout the design process. The first floor consists of an open layout that combines the dining, living and kitchen areas. A hallway leads to a bathroom and master bedroom. Upstairs is a loft that functions as the shared bedroom of the three boys. Let's take a peek! Get the full tour here. Not every tiny home manages to combine functionality with a coziness that truly makes the tiny abode feel like a home, but designers and builders Taylor Williams and Mike Blalock of Tiny Life Construction have managed to just that with their Lindley home. Tiny Life Construction is headquartered in Greensboro, N.C. In an interview done with Tiny House Talk, Blalock and Williams reveal that freedom is what inspired them to get into the tiny home market, freedom to travel, be free from debt, enjoy life, etc. That same concept affects their designs. 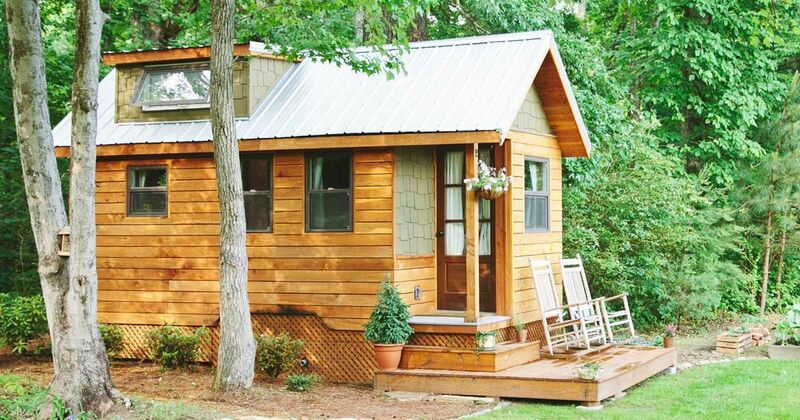 The Lindley model incorporates freedom from the staid, rectangular designs of most tiny homes. Williams and Blalock have gotten creative, or "free," with their inside design and attention to detail as well. Notice the nuances as you tour this tiny home. Get the full tour here. Uncharted Tiny Homes, the builders of this tiny home, called the Mansion, hail from Phoenix, Ariz., which means that they have to work extra hard to design home interiors that can compete with the stunning scenery they have available for exterior photographs. OK, nobody can compete with mother nature when it comes to beauty, even with that attractive tan, "rustic taupe" exterior paint, but the Mansion still has terrific, standout features, including two sleeping lofts over the kitchen and bathroom, an 8-feet by 8-feet L-shaped kitchen and a full residential bathroom. 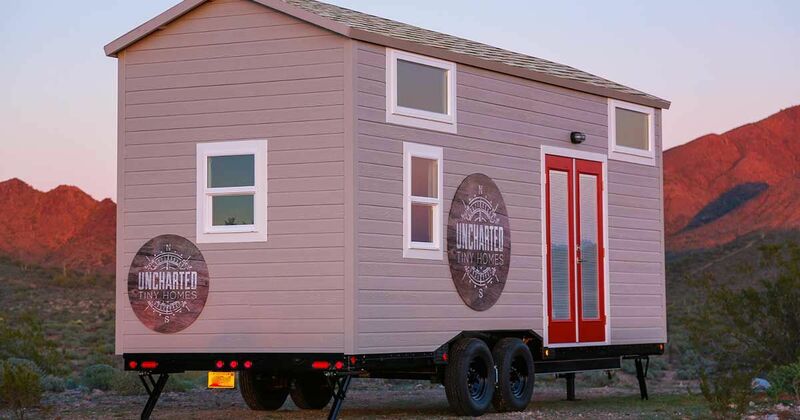 Uncharted Tiny Homes not only is the only tiny house builder in Arizona, it also is a 100% in-house building company, so everything has been designed, built and staged by the owners, the Partannas. Get the full tour here. 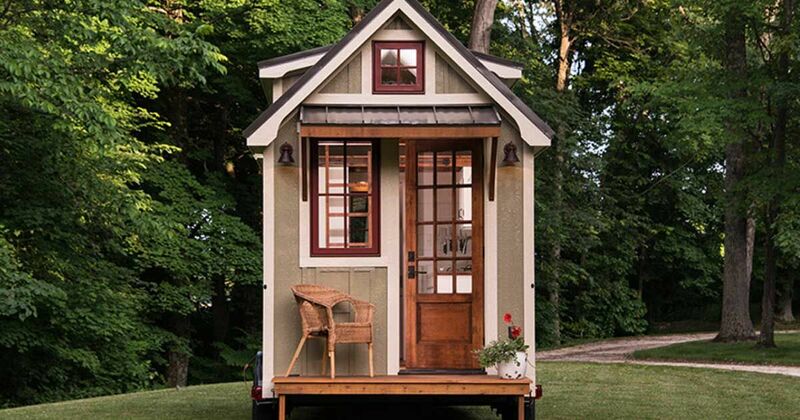 This stunning tiny house, set in the scenic environs of Battle Ground, Washington, was created by Handcrafted Movement, the construction firm begun by builder Matt Impola, who happens to be the executive director of the Artisan Academy, a school for, well, artisans. 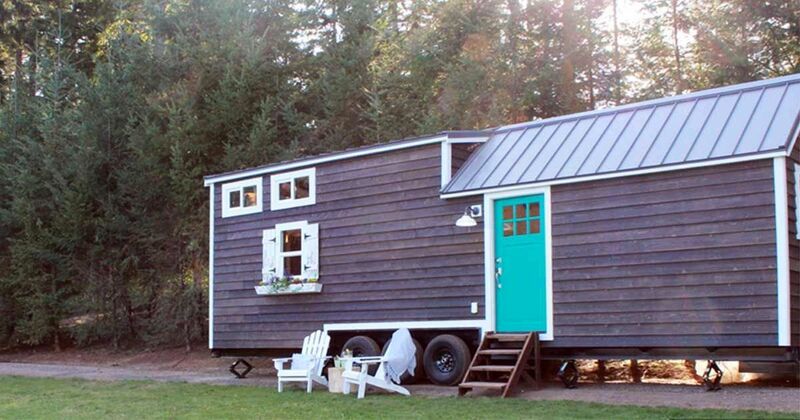 In just a few words, this tiny home is jaw dropping. From most angles, you will see that the house's clean lines, beset with classic overtones, fool the eye into thinking you might be standing in a "McMansion" in the middle of suburbia instead of a diminutive home with a basic footprint measuring 238 square feet – 8.5 feet by 28 feet. Get the full tour here. 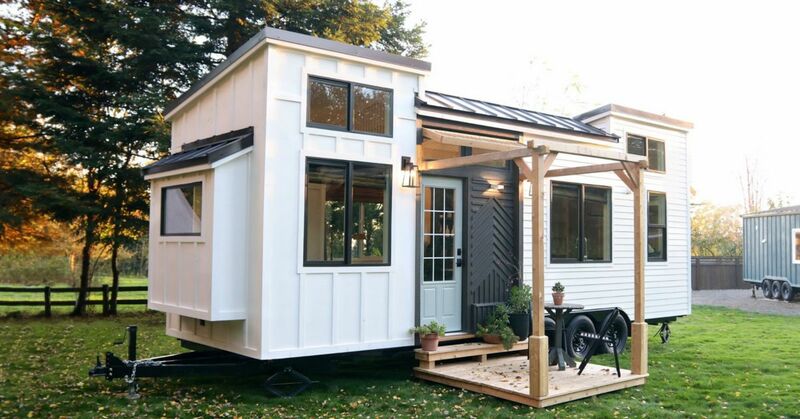 The streamlined design is one of the most popular of any tiny home. Building long and thin definitely has some advantages over short and bulky, specifically for ease in commuting on a trailer. With this design, however, there is always some concern about navigating and foot traffic within the house. The 297.5-square-foot Traveler XL tiny house on wheels proves a streamlined home can also be spacious. One of the first things you'll notice about this particular design is the plethora of windows. They not only look cool on the exterior but provide a great burst of light to the interior. The abundance of windows may cause some privacy concerns, but as we step inside, you'll see this layout is full of opportunities for "alone time." Get the full tour here. Imagine being steps away from a busy city but feeling like you're in a private retreat? That's how it feels to stay in this luxurious tiny home. It's just around the corner from the shops and restaurants in Denver, but it feels like a sanctuary from the world. 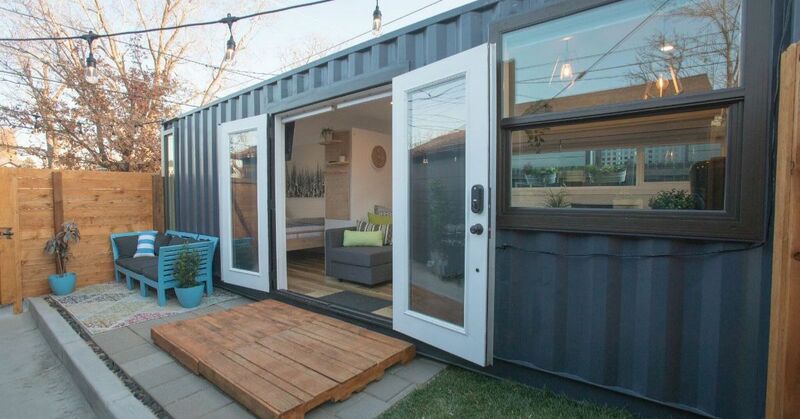 This container home is 33 feet long and can sleep four people comfortably. It is designed to save space, but it certainly is not short on modern amenities. It has everything you need to feel at home. It could be tempting to see what's happening downtown, but the desire to stay home may be just as strong. Open the French doors and enjoy the fairy lights over a private backyard oasis. Get the full tour here. 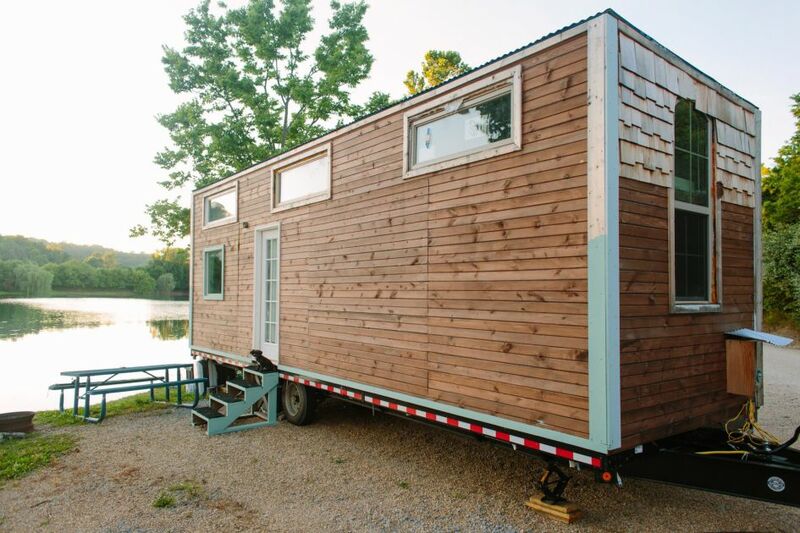 The Music City Tiny House features one of the most original exterior layouts on the market. With the words 'music city' predominantly displayed on the outside of the house the owners pay tribute to their Tennessee community. Those who want a more traditional look will be more than fulfilled with the interior. It can be tough to pull off a predominantly white interior within a small space but the Music City Tiny House pulls it off with the perfect amount of contrast, specifically with the wood floors. The use of white also reflects the natural light, making the interior seem much more spacious than it actually probably is. Get the full tour here. Ah, that glorious lived-in look! Don't you just love it? And isn't that the basic formula for potential disaster for a tiny house? The idea is to downsize your stockpile of material possessions (aka stuff), but to then fit all that you need -- and not a drop more -- into a tiny home on wheels that signifies freedom, mobility, smaller bills, carefree days and cozy nights. Get the full tour here. "Home is where you park it," say the builders at Tiny Heirloom, a company from Portland, Ore., that supplies the hammers, nails and manpower, while the customer comes up with the design. 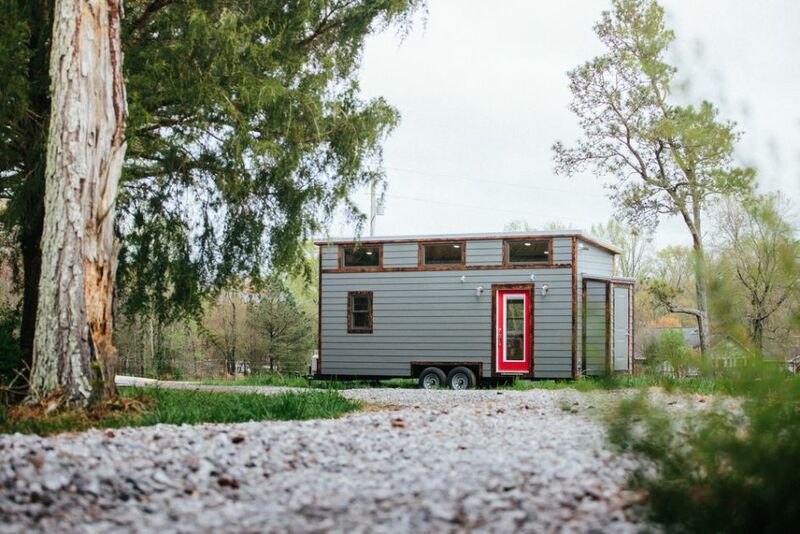 As such, the company that turns out quality gems, like this home on wheels, aspires to constructing "pure custom built tiny homes." 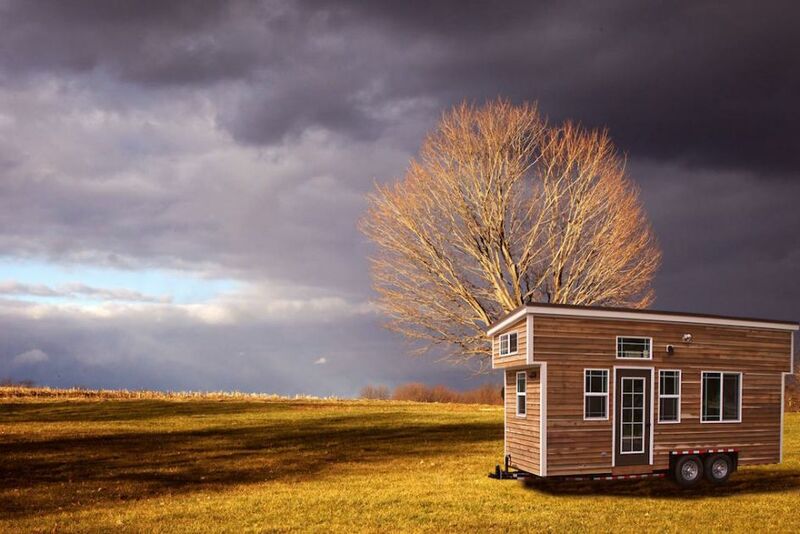 In fact, like many tiny home owners, the owners of Tiny Heirloom claim to have found a second lease on their life when the tiny house movement began. After years of standard residential housing construction, "we realized there was something more meaningful in building tiny," their website says. Get the full tour here. From Stewart Little to The Wind in theWillows to the swashbuckling mice in the Redwall series of children'snovels, people have long been amused by the image of tiny mice livingthe high life in tiny homes stuffed to the rafters withanthropomorphic niceties. This playful fantasy has taken literaryform in various cultures – French, Russian, British, Spanish,Italian and German, just to name a few. But the mouse house featuredin this photo essay was built by accomplished designers and buildersin Boise, Idaho, who simply keep a mouse's sense of adventure atheart, while building tiny homes for real-life humans, who may want to live large by downsizing the domicile. Get the full tour here. Passion is always a key motivator in any line of work, and the team at Wind River Tiny Homes knows this better than anyone else. 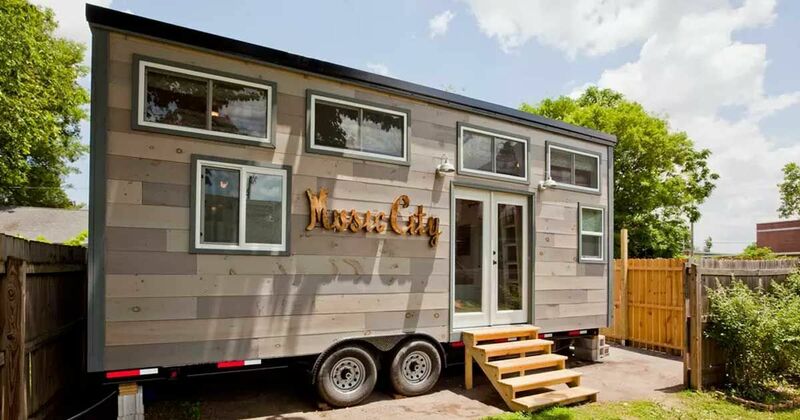 A strong interest in all things tiny living, coupled with years of experience in construction, has brought the masterminds behind this Chattanooga, Tennessee, company together in the pursuit of greatness in tiny home alchemy. And such is the case of the tiny house on wheels we are going to explore today. The Chimera tiny house was a custom-made order with a uniquely created design that appeals to multiple stylistic conventions. Its name is a reference to the fact that the house makes the most of a mixture of materials and functional features, in the same manner that a chimera in Greek mythology is a creature that is made from a combination of animals. Get the full tour here. After a year of hard work and dreaming big, Daniel, Ashley, Sweet Pea and Carlos (husband, wife, dog, cat) were able to move into their homemade tiny house, which Ashley notes online included a surprise bonus compared to her previous home: “Less to keep clean!” she announces in her online blog, Tire Swing Photography. Like many tiny home projects, this one started with a romance (the couple eloped to Puerto Rico in 2014), and a shared passion, in this case for photography. Daniel and Ashley have been together nine years and have spent five of them “in the industry,” their website says. They run Tire Swing Photography, an all-purpose events-oriented photo business. But they found a direction, too, when they decided to build a tiny home. Get the full tour here.